DWS has made it clear. She would rather do anything other than spend time in Congressional District 23. The former Chair of the Democratic National Committee used that position to stay away. She spent much more time outside the district than she did in. There are cities in her district, primarily the ones where minorities live, that NEVER see or hear from her. She chalked that up to being the head of the DNC. Ok, Debbie, you WERE the head of the DNC. You aren’t anymore. One would think she would take this opportunity to spend some time in her district. Maybe debate her primary opponent, Tim Canova. Oh no, not Debbie Wasserman Schultz. She’s looking for her next excuse to stay away from the district, and Hillary Clinton gave it to her. Clinton made her an “honorary” chair of her presidential campaign. Debbie said she is “looking forward” to traveling the country and helping Hillary Clinton get elected. Exactly when does Debbie expect to represent Congressional District 23? When does she plan on addressing constituent issues? Why is she doing everything she can to NOT be present in her district? She has been missing in action as long as she was DNC Chair. Is she that afraid of debating Tim Canova, that she wants to hit the road as soon as possible? Ok we get that you are the coward of broward. We get that you are afraid in Dade. Exactly who wants to see you outside of your district? I find it hard to believe that Hillary Clinton would let one of the most hated politicians in the Democratic Party travel around and try to get people to vote for her. Who the hell is going to listen to Debbie Wasserman Schultz? She just got booed off the stage in Philadelphia by the Florida delegation. It doesn’t take a rocket scientist to know that if Wasserman Schultz’s own home state delegation boos her to the point that she had to be escorted by security off the stage, the rest of the country is going to light her up like she was a Christmas tree! Hillary is too smart to let the albatross that is Debbie Wasserman Schultz hang around her neck! Hell, Hillary Clinton is dealing with her own negative numbers when it comes to the country. The last thing she needs is to add DWS’s negatives to her campaign. Congressional District 23 has to ask itself: do you want a representative that doesn’t want to spend the time actually representing you? Do you want someone who would rather be doing ANYTHING except being in the district she represents? 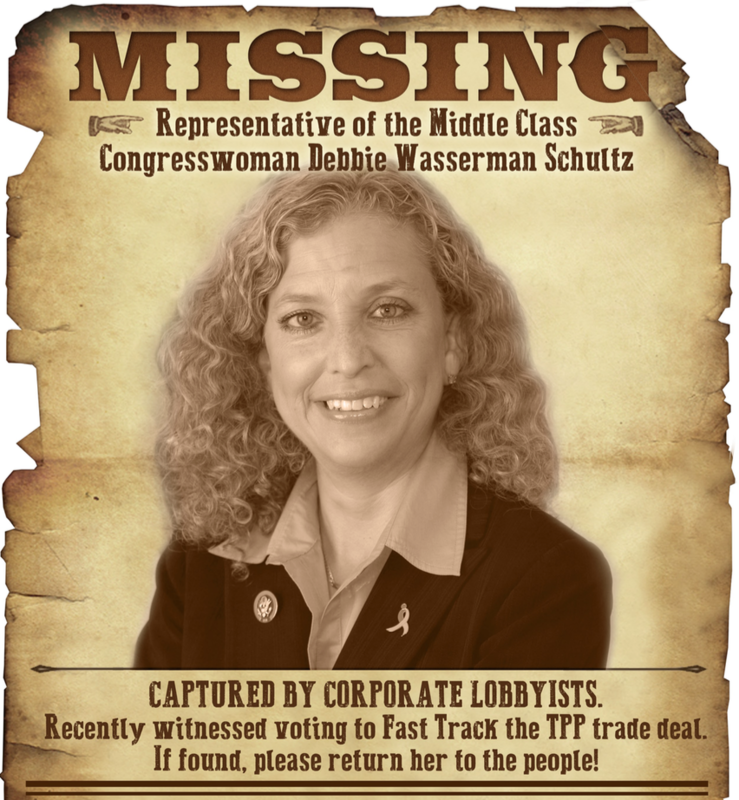 Debbie was unceremoniously thrown out of her position as DNC Chair. Perhaps it’s time for her to be booted out of Congress totally. She apparently doesn’t want to do it anyway. It’s a stepping stone that gets in the way of her ambition.